U.N. Secretary-General Antonio Guterres has condemned the attack on a voter registration center in Afghanistan. 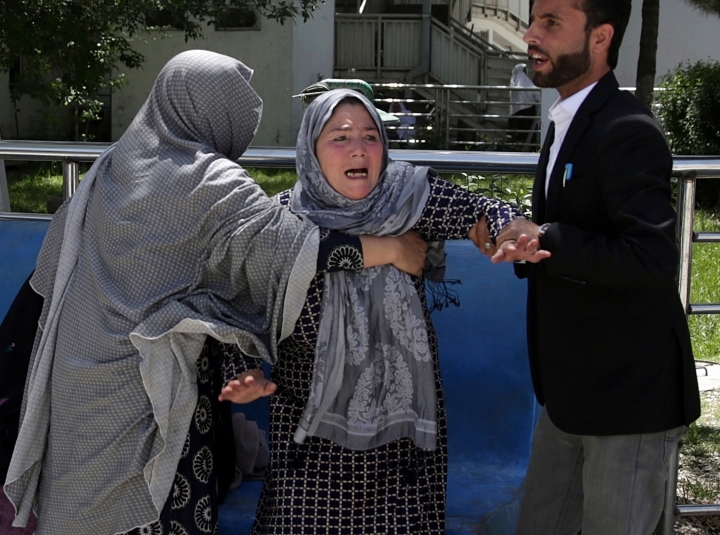 The suicide bombing in Kabul on Sunday killed at least 57 people with more than 100 wounded. The Islamic State group claimed responsibility, saying it targeted Shiite "apostates." Guterres said the culprits must be brought to justice. "They must not be allowed to succeed in deterring Afghan citizens from carrying out their constitutional right to take part in forthcoming elections." He extended condolences to the families and expressed solidarity with the Afghan government in the statement issued in New York by spokesman Stephane Dujarric. Afghan officials say the toll from a suicide bombing in Kabul claimed by the Islamic State group has risen to 57 dead and 119 wounded. Public Health Ministry spokesman Wahid Majro confirmed the toll of Sunday's attack, in which the bomber targeted a voter registration center in the capital. IS claimed the attack, saying it targeted Shiite "apostates." Both IS and the more well-established Taliban have stepped up attacks across Afghanistan in recent years. Afghan officials say the toll from a suicide bombing in Kabul claimed by the Islamic State group has risen to 48 dead and 112 wounded. Public Health Ministry spokesman Wahid Majro confirmed the toll from Sunday's attack, in which the bomber targeted a voter registration center in the capital. IS claimed the attack, saying it targeted Shiite "apostates." The U.S. and NATO formally concluded their combat mission in Afghanistan at the end of 2014, shifting to a focus on counterterrorism, training and support. 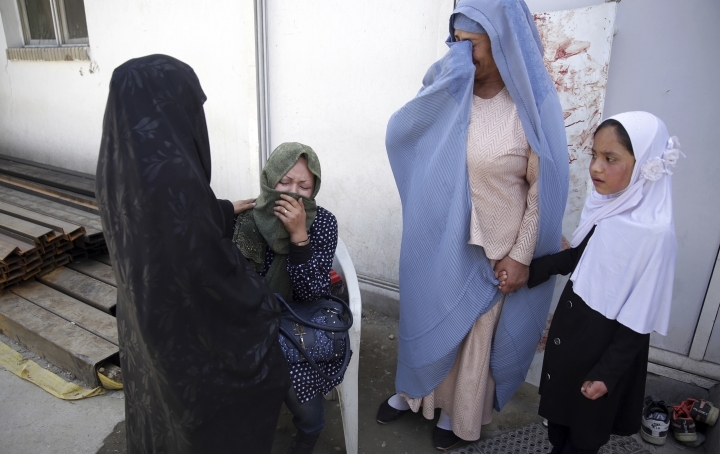 The Islamic State group has claimed responsibility for a suicide bombing in the Afghan capital that killed more than 30 people and wounded dozens. The group claimed Sunday's attack in a statement carried by its Aamaq news agency, saying it had targeted Shiite "apostates." 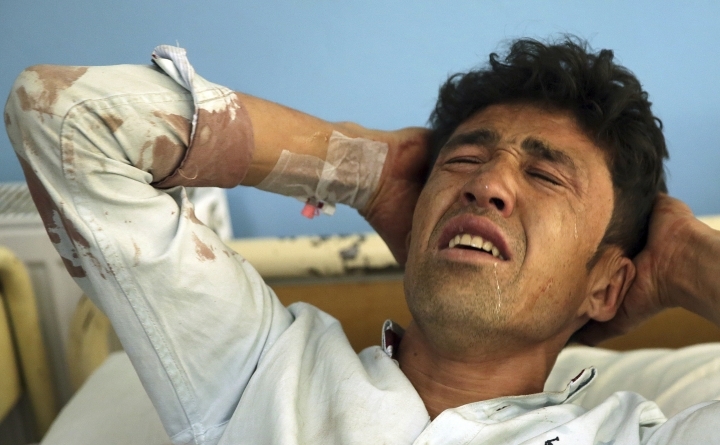 Afghan officials say a suicide bomber targeted a crowd of people gathered at a voter registration center in Kabul. The extremist group is opposed to democratic elections. An Afghan official says that at least five people were killed when their vehicle struck a roadside bomb in the northern Baghlan province. Zabihullah Shuja, spokesman for the provincial police chief, says four other people were wounded in Sunday's blast in Puli Khomri, the capital of the province. 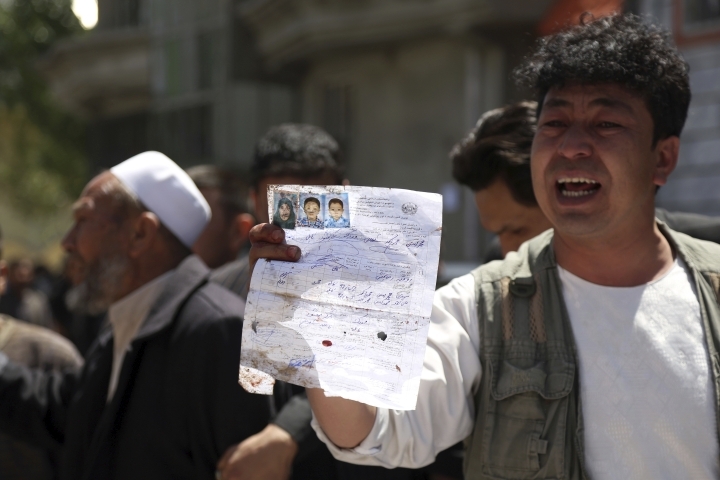 Afghan officials say the toll from a suicide bombing in Kabul that targeted a voter registration center has climbed to at least 31 killed and 54 wounded. Public Health Ministry spokesman Wahid Majro confirmed the toll from Sunday's attack, originally placed at four dead and 15 wounded. The Taliban denied involvement in the attack, which indicates it may have been carried out by an Islamic State affiliate. Afghan officials say the toll from a suicide bombing in Kabul has climbed to at least 12 killed and 57 wounded. Public Health Ministry spokesman Wahid Majro said the toll from Sunday's attack, originally placed at four dead and 15 wounded, could climb further. The suicide bomber targeted a crowd that had gathered to pick up national identification cards at a voter registration center in the capital. 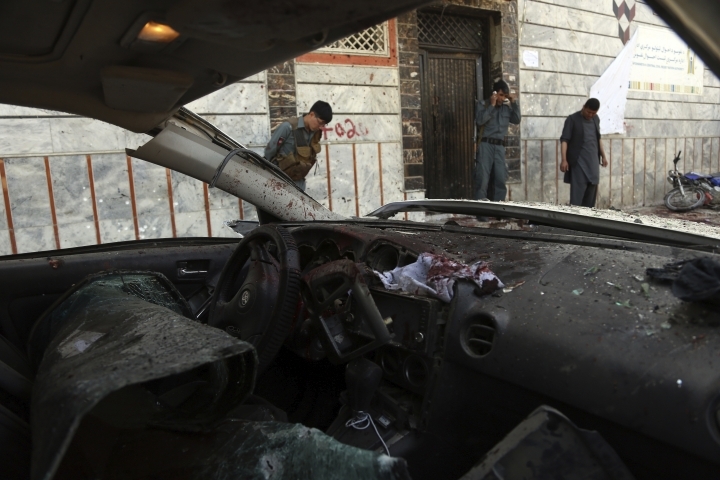 Afghan officials say a suicide bomber has attacked a voter registration center in the capital, killing at least four people. Public Health Ministry spokesman Wahid Majro says another 15 people were wounded in Sunday's attack. Kabul police spokesman Akmal Ahmadzai confirmed the location of the attack. No one immediately claimed responsibility. The Taliban and a local Islamic State affiliate both view Afghanistan's government and democratic elections as illegitimate.